René Schwaller de Lubicz (1887–1961) is known to English readers primarily for his work in uncovering the spiritual and cosmological insights of ancient Egypt. In books like Esotericism and Symbol, The Temple in Man, Symbol and the Symbolic, The Egyptian Miracle, and the monumentalThe Temple of Man–whose long awaited English translation has finally appeared–Schwaller de Lubicz argued, among other things, that Egyptian civilization is much older than orthodox Egyptologists suggest, a claim receiving renewed interest through the recent work of Graham Hancock and Robert Bauval. If his view of Egyptian antiquity wasn’t enough to place him securely beyond the pale, he also argued that the core of ancient Egyptian culture was a fundamental insight into “the laws of creation.” Everything about Egyptian civilization, from the construction of the pyramids to the shape of a beer mug, de Lubicz claimed to be motivated by a central metaphysical vision about the nature of cosmic harmony and an awareness of humanity’s place in the evolution of consciousness. As his translator Deborah Lawlor remarks (introduction to Nature Word 47), Schwaller de Lubicz’s Egyptian studies are only a part of his overall work as a metaphysician and philosopher. Readers wishing to grasp Schwaller’s insights may feel that they, too, have found themselves at the foot of a very steep mountain. This challenging prospect would not have fazed Schwaller. He believed knowledge was the right only of those willing to make the effort to achieve it, the elite who would endure suffering in their pursuit of wisdom. This sensibility influenced his political views as well. Schwaller’s father was a chemist–apparently wealthy–and the young René grew up in a world of science, nature and art. Dreamy walks in the Alsatian forests followed hours spent painting and “experimenting.” He also had two peculiar experiences. In 1894, at the age of seven, Schwaller had a kind of mystical insight into the nature of the divine. This glimpse of metaphysical reality would return seven years later when, at fourteen, he experienced another insight, this one into matter. “What is the origin of matter?” the budding metaphysician asked himself. The question occupied him the rest of his life. In his late teens, Schwaller left home and went to Paris. He studied painting under Henri Matisse, who at that time was deeply influenced by the work of the most famous philosopher of the age, Henri Bergson. Today Bergson gets little more than a mention in books on the history of philosophy, but in the years before World War I he was world-known, immensely influential for his philosophy of intuition. Bergson argued against the static, mechanistic perception of the world, in favor of a living vital participation with its essence, the famous élan vital or life force. He was also something of a mystic. In one of his last books, The Two Sources of Morality and Religion (1932), written after his popularity had declined, Bergson made his famous remark that the universe was a machine for “making gods,” a formulation Schwaller would not have found much fault with. Along with Matisse and Bergson, Schwaller came under the influence of the new physics of Albert Einstein and Max Planck. Like many people today, Schwaller believed that the strange world of quantum physics and relativity opened the door to a universe more in line with the cosmologies of the ancients, and less compatible with the Newtonian clockwork world of the nineteenth century. He was especially stimulated by the idea of complementarity, developed by the Danish physicist, Niels Bohr, and the uncertainty principle of Werner Heisenberg. Bohr sought to end the debate over the nature of light–whether it was best described as a wave or as a particle–by opting for a position that would see it as both. Heisenberg’s “uncertainty”–which caused Einstein to retort famously that “God does not play dice with the universe”–argued that we cannot know both the position and the speed of an elementary particle: pinpointing one obscures the other. Schwaller would agree with Einstein about God’s attitude toward gambling. But he appreciated that complementarity and uncertainty demand a stretch of our minds beyond the “either/or” of syllogistic logic, to an understanding of how reality works. 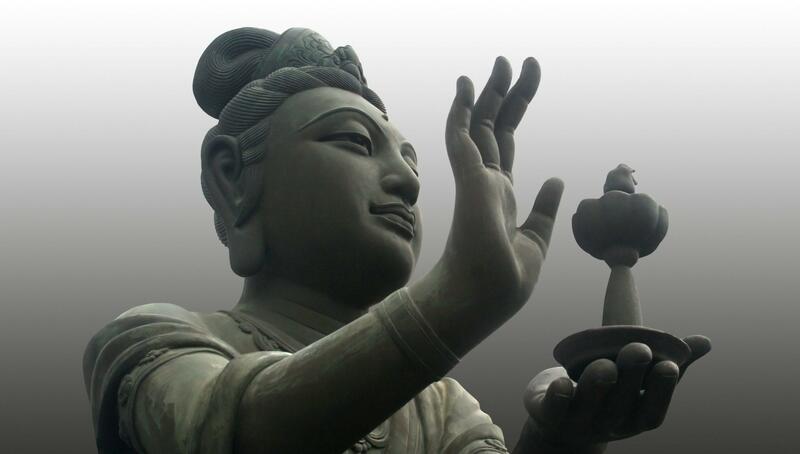 Complementarity and uncertainty ask us to hold mutually exclusive ideas together–the basic idea behind a Zen koan. The result, Schwaller knew, can be an illogical but illuminating insight. This “simultaneity of opposite states” plays a great part in Schwaller’s understanding of Egyptian hieroglyphics. It characterizes what he calls symbolique, a way of holding together the object of sense perception and the content of inner knowing, in a kind of creative polarity. When the Egyptians saw the hieroglyph of a bird, he argued, they knew it was a sign for the actual, individual creature, but they also knew it was a symbol of the “cosmic function” that the creature exemplified–flight–as well as all the myriad characteristics associated with it. Hieroglyphics did not merely designate; they evoked. As he wrote in Symbol and the Symbolic (40), “the observation of a simultaneity of mutually contradictory states . . . demonstrates the existence of two forms of intelligence”–an idea the early twentieth century philosopher Alfred North Whitehead would discuss, with many similarities to Schwaller’s thought, in his book,Symbolism, Its Meaning and Effect (1927). Our rational, scientific intelligence is of the mind and the senses. The other form of intelligence, whose most total expression Schwaller eventually located in the civilization of ancient Egypt, is of “the heart.” This search for the “intelligence of the heart” became Schwaller’s life work. Schwaller believed that the appearance of the new physics indicated humanity was moving toward a massive shift in awareness, an idea he shared with his near contemporary Jean Gebser. He related this shift to the precession of the equinoxes and the coming Age of Aquarius. But he also believed that science alone couldn’t provide the deepest insights into the true character of the world. For this, he argued, a new kind of consciousness is necessary. He sought signs of this new consciousness among less mainstream thinkers. In 1913–1914, Schwaller was active in French Theosophical groups and, one suspects, in occult circles in Paris in general. He read widely in Madame Blavatsky and other occult thinkers, and published a series of articles on the philosophy of science in Le Theosophe. Soon after, in 1917, at the age of thirty, he published his first book, A Study of Numbers, a Pythagorean essay on the metaphysical meaning of mathematics. That book’s central idea is at the heart of Schwaller’s thought: the inexplicable splitting–or “scission,” as he called it–of the unmanifest One, the Absolute, into the many–a question that, in a less mystical manner, occupies many leading cosmologists today. For Schwaller this “irrational” eruption of absolute unity into the world of space and time is the central mystery of existence, the primal secret that will forever elude the simplifying grasp of the purely cerebral mind. Our rational mind is unable to grasp the central mystery, he argues, because our “sensory organization clearly seems to be imperfect.” This condition can only be alleviated through a “perfecting of consciousness,” something, he would later argue, the ancient Egyptians knew all about. “I earnestly anticipate the time when an enlightened being will be able to bring the world proof of the mystery of the beginning,” he wrote in Sacred Science. Dissatisfied with the scientific prejudices of the present time, Schwaller sought kindred spirits in the past. The study of alchemy fed his appetite for spiritual knowledge. Unlike many drawn to the occult, Schwaller’s interest in science gave him a hard-edged, practical mind, unsatisfied with vague talk of higher worlds. Esotericism, he believed, should include factual knowledge of how the world worked; he rejected Jung’s interpretation of alchemy as a purely psychic affair. Alchemy was a spiritual practice involving the consciousness of the alchemist, but it also involved objective insights into the structure of matter. This belief in the reality of objective knowledge fueled Schwaller’s later investigations into Egyptian civilization. He was fascinated with the esoteric secrets of Gothic architecture and became acquainted with the man whose name is most associated with the “mystery of the cathedrals,” the pseudonymous Fulcanelli. Sometime between 1918 and 1920 in Montparnasse, Schwaller met Fulcanelli, who had gathered a band of disciples around him, aptly called “The Brothers of Heliopolis.” (Schwaller would later claim that the word alchemy meant “out of Egypt.”) Alchemy had found a home in the strange world of the Parisian occult underground, and Fulcanelli and the Brothers of Heliopolis studied the works of the great alchemists, like Nicolas Flammel and Basil Valentinus. Fulcanelli and Schwaller met often and discussed the Great Work, the transmutation of matter, a possibility that the recent advances in atomic theory seemed to bring closer to reality. Then one day, Fulcanelli told Schwaller about a manuscript he had stolen from a Paris bookshop. While cataloguing an ancient book for a bookseller, Fulcanelli discovered a strange piece of writing: a six-page manuscript in fading ink, describing, Fulcanelli claimed, the importance of color in the alchemical process. But, said Schwaller, when it came to alchemy, Fulcanelli was a materialist, and so he didn’t grasp the true nature of color. Schwaller enlightened him. Tired of the distractions of Paris, Schwaller moved to Grasse, in the south of France, where he invited Fulcanelli to join him in an alchemical retreat. There, after much work, they performed a successful opus, involving the secrets of “alchemical stained glass.” The peculiarly evocative reds and blues of the rose windows of cathedrals like the unearthly Chartres had eluded artisans since the Middle Ages. In Grasse, Schwaller and Fulcanelli may have cracked the formula. But there was tension between the two, and the suspicion exists that Fulcanelli stole more than a manuscript from a bookseller. The ideas for his most famous work, The Mystery of the Cathedrals (1925), are said to have been taken from Schwaller de Lubicz. Fulcanelli returned to Paris and against Schwaller’s advice, tried to perform their work again. He wasn’t successful. This was, Schwaller claimed, because Fulcanelli left out essential ingredients known only to him. Ignoring Schwaller’s warnings, Fulcanelli persisted in performing the work in Paris. But his strange death from gangrene, a day before he was to reveal the secret to his students, brought an end to his opus. Schwaller found himself moving toward more political methods of embodying esoteric wisdom. He had already met the mystical poet O. V. de Lubicz Milosz, who had bestowed a knighthood on him. Heraldry and chivalric virtue became central items in Schwaller’s personal philosophy. As he wrote in Nature Word, “The proper path leads you first in search of your ‘Totem,’ that is to a spiritual Heraldry.” This is because “you cannot step into the shoes of another person, for you are yourself a whole, a particular aspect of universal Consciousness.” He had also received his mystical name, “Aor” or “intellectual light” in Hebrew. In later years, his students would address him in this way. Esotericism demands that one not only deal with esoteric truth intellectually, but as a living practice. Around this time, Schwaller took this maxim to heart and set out to bring to post World War I French politics some of the values and ideals of esotericism. Yet according to André VandenBroeck, author of Al-Kemi: Hermetic, Occult, Political and Private Aspects of R. A. Schwaller de Lubicz (1987), these sentiments mixed with less democratic views–as well as a taste for dark shirts, riding pants, and boots—a questionable fashion statement in the years leading up to Hitler. A distaste for modern society and civilization runs throughout Schwaller’s writings, a dissatisfaction with “mass man,” a Nietzschean disdain of “the herd” that he shares with other esoteric thinkers like Julius Evola and René Guénon. It is clear that individuals like Schwaller would find our increasingly lowest-common-denominator society revolting, and we must see his interest in the pharaonic theocracy of ancient Egypt in light of his belief in the absolute value of the individual consciousness in a time of increasing spiritual and cultural mediocrity. But Schwaller’s belief that contemporary human beings are by and large degenerate and his faith in an esoteric elite preparing for a spiritual renaissance often smack unappetizingly of less philosophically informed attempts to reestablish “traditional values” in the modern world. Also at Suhalia, Schwaller’s views on the evolution of consciousness began to coalesce. In a book distributed to his students called L’Appel du feu (1926), he recorded a series of inspirations via a higher intelligence that he called “Aor.” These revealed to him the true significance of time, space, measure, and harmony. The basic insight was to think simply, to abstract oneself from time and space, and to “consider only the aspect common to every thing and every living impulse.” As he would later write, “To cultivate oneself to be simple and to see simply is the first task of anyone wishing to approach the sacred symbolism of Ancient Egypt.” This is necessary because “the obvious blinds us,” the obvious being our perception of the world via cerebral consciousness alone, which divides, analyzes, and “granulates” experience–Bergson’s “static perception.” Schwaller would later discover that the Egyptians associated this type of consciousness with the “evil” god Set; its opposite, the “intelligence of the heart,” they associated with Horus. Suhalia continued until 1929, when finances caused Schwaller to shut it down. The next few years were spent at Grasse and aboard his yacht. Two years of comparative solitude in Palma de Mallorca ended with the outbreak of the Spanish Civil War. The moment seemed right to follow up an idea Isha and René had toyed with for some time–a journey to Egypt. Ironically, it was Isha, not René, who first felt the pull of Egypt. Concerned with alchemy, matter, and the evolution of consciousness, Schwaller hadn’t thought much about Egypt. But Isha knew they had to go. In 1936, on a visit to the tomb of Rameses IX in Alexandria, Schwaller had a kind of revelation. A picture represented the pharaoh as a right-angle triangle with the proportions 3:4:5, his upraised arm adding another unit. Schwaller thought it demonstrated the Pythagorean theorem, centuries before Pythagoras was born. From the picture it was clear to him that the knowledge of the medieval masons had its roots in ancient Egypt. For the next fifteen years, until 1951, Schwaller de Lubicz remained in Egypt, investigating the evidence for what he believed was an ancient system of psychological, cosmological, and spiritual knowledge. Most of Schwaller’s work was done at the temple at Luxor, his study of its remarkable architecture and design a natural outcome of his early fascination with the mystery of number. On his first visit in 1937, Schwaller was impressed with a tremendous insight. The temple, with its strange, “crooked” alignments, was, he was certain, a conscious exercise in the laws of harmony and proportion. He called it the Parthenon of Egypt—somewhat anachronistically, since he believed Luxor was concrete proof that the Egyptians understood the laws of harmony and proportion before the Greeks. Schwaller searched Luxor for evidence of the golden section, phi. If the golden section had been used, that would prove the Egyptians had knowledge of it much earlier than the Greeks, a revelation that alone would cause an uproar in orthodox Egyptology. But as John Anthony West in The Serpent and the Sky (1978), a study of Schwaller de Lubicz, points out, phi is more than a central item in classical architecture. It is the mathematical archetype of the manifest universe, the means by which we have an “asymmetrical” “lumpy” world of galaxies and planets, and not a bland, homogenous sameness, a question that contemporary cosmologists are also concerned with. Schwaller linked phi to the orbits of the planets, the proportions of Gothic cathedrals, and the forms of plants and animals. It was a “form constant,” a blueprint for reality, a law of creation. And the Egyptians knew it. The Egyptians knew much else: the precession of the equinoxes, the circumference of the globe, and the secrets of pi. The knowledge of the Egyptians indeed made the Greeks seem like children. Their forgotten mathematical wisdom led Schwaller increasingly to realize that Egyptian civilization must be far older than we suspect–the clear evidence of water erosion on the Sphinx also suggests that. He concluded that their knowledge may have been inherited from vanished Atlantis. But more important than any of those conclusions, was his growing conviction that the Egyptians had a radically different consciousness from ours. They viewed the world symbolically, seeing in nature a “writing” conveying truths about the metaphysical forces behind creation—”the Neters,” as Egyptian gods are called. It was a vision Schwaller believed we desperately need to regain. Schwaller believed Luxor was a kind of living organism, a colossal compendium of esoteric truth, whose every detail, from its total design down to its very materials, voiced one central revelation: that Conscious Man was the goal of cosmic evolution. “Each individual type in Nature is a stage in the cosmic embryology which culminates in man,” he wrote. 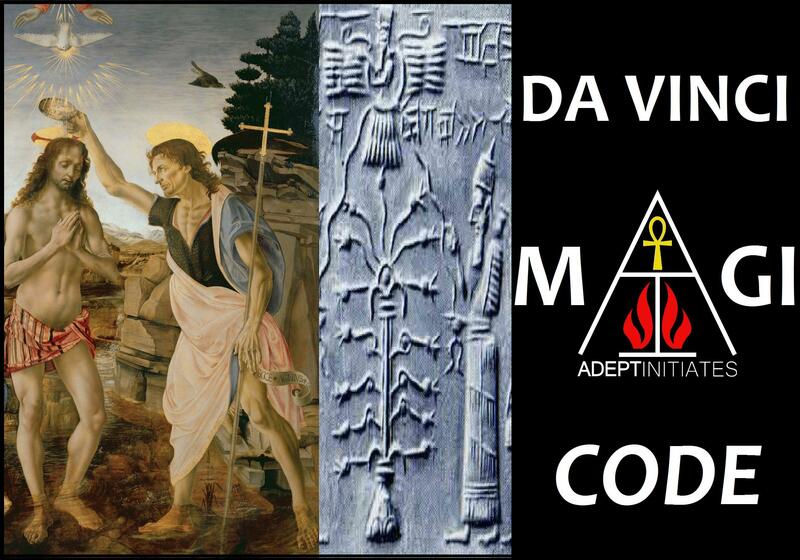 Different species, Schwaller believed, developed various “functions”—what the Egyptians called “Neters” and we translate as “gods”–which have their apotheosis and integration in Conscious Man. The essence of Schwaller’s evolutionism has to do with what he calls “functional consciousness,” an idea we can benefit from understanding, regardless of our opinions of elites or theocracies. And although Schwaller developed his ideas about functional consciousness in an Egyptian context, that context is ultimately not necessary. The essence of those ideas goes back to Bergson and intuition. Needless to say, Schwaller took this basic insight and, with his Egyptian revelations, developed an original, powerful, and imaginatively thrilling symbolic system. Tumble with the rock which falls from the mountain. expand in space with the ripening fruit. All of those injunctions are classic examples of the kind of “knowing from the inside” that Bergson had in mind in his talk on intuition. In this way, we participate with the world, rather than hold it at arm’s length, objectifying it, as modern science is prone to do. With recent developments in genetics, this “objectification” is now dangerously focused on ourselves. My aim is not to reduce Schwaller’s remarkable achievement to a simple variation on Bergson. Understanding what “functional consciousness” is and developing methods of achieving it are two different things. Schwaller’s immense work on an entire civilization devoted to “inner knowing” entails ways of reaching this deeper perception, and we would be wrong to ignore it. But I think it’s important to bring the essence of Schwaller’s thought to an audience possibly put off by his talk of elites. The “intelligence of the heart” may be difficult to acquire, but it is something we and the whole world—not only a select group of enlightened theocrats— can benefit from by experiencing. In the long run, Schwaller himself understood this. “To be of the Elite,” he wrote (Nature Word 102), “is to want to give and to be able to give . . . to draw on the inexhaustible source and give this food to those who are hungry and thirsty.” With his study of ancient Egypt, this is a truth Schwaller de Lubicz took to heart. • Bauval, Robert, and Graham Hancock. Keeper of Genesis: A Quest for the Hidden Legacy of Mankind. London: Heinemann, 1996. • Bergson, Henri. The Two Sources of Morality and Religion. Trans. R. Ashley Audra and Cloudesley Brereton. New York: Holt, 1935. Orig. pub. 1932. • Fulcanelli (pseud.). 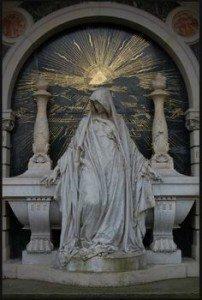 The Mystery of the Cathedrals. (Le Mystère des cathédrales et l’interprétation ésotérique des symboles hermétiques du grand oeuvre.) 3rd ed. Paris: Pauvert, 1964. Orig. pub. 1925. • Gebser, Jean. The Ever-Present Origin. Trans. of Ursprung und Gegenwart by Noel Barstad and Algis Mickunas. Athens, OH: Ohio University Press, 1982. • Hancock, Graham, and Robert Bauval. The Message of the Sphinx: A Quest for the Hidden Legacy of Mankind. New York: Crown, 1996. • Schwaller de Lubicz, Isha. Her-Bak. 2 vols. Cairo, 1950. Trans. as Her-Bak “Chick-pea”: The Living Face of Egypt and Her-Bak: Egyptian Initiate. London: Hodder & Stoughton, 1954, 1967. • Schwaller de Lubicz, René. L’Appel du feu. Saint-Moritz, Switerland: Montalia, 1926. • Schwaller de Lubicz, René. The Egyptian Miracle: An Introduction to the Wisdom of the Temple. New York: Inner Traditions, 1985. • Schwaller de Lubicz, René. Esotericism and Symbol. New York: Inner Traditions, 1985. • Schwaller de Lubicz, René. Nature Word. West Stockbridge, MA: Lindisfarne, 1982. • Schwaller de Lubicz, René. 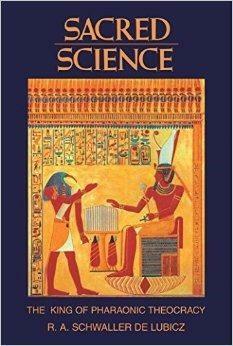 Sacred Science: The King of Pharaonic Theocracy. New York: Inner Traditions, 1988. • Schwaller de Lubicz, René. A Study of Numbers: A Guide to the Constant Creation of the Universe. Rochester, VT: Inner Traditions, 1986. • Schwaller de Lubicz, René. Symbol and the Symbolic: Egypt, Science, and the Evolution of Consciousness. Brookline, MA: Autumn Press, 1978. • Schwaller de Lubicz, René. The Temple in Man. Brookline, MA: Autumn Press, 1977. • Schwaller de Lubicz, René. The Temple of Man: Apet of the South at Luxor. 2 vols. Trans. Deborah Lawlor and Robert Lawlor. Rochester, VT: Inner Traditions, 1998. • Steiner, Rudolf. The Threefold Commonwealth. New York: Anthroposophic Press, 1943. Also pub. as The Threefold Social Order. Orig. pub. 1919. • VandenBroeck, André, Al-Kemi: Hermetic, Occult, Political and Private Aspects of R. A. Schwaller de Lubicz. Rochester, VT: Inner Traditions. 1987. • West, John Anthony, Serpent in the Sky: The High Wisdom of Ancient Egypt. Wheaton, IL: Theosophical Publishing House, 1993.